On March 1, US President Donald Trump decided to follow the recommendation of the US Department of Commerce, made last month, and impose higher tariffs on steel and aluminum imports. French Finance Minister Bruno Le Maire addressed the US President's Donald Trump's decision to impose higher tariffs on steel and aluminum imports, saying that as a result of this move, there "will only be losers" in the US-EU trade relations. "These unilateral measures are not acceptable. 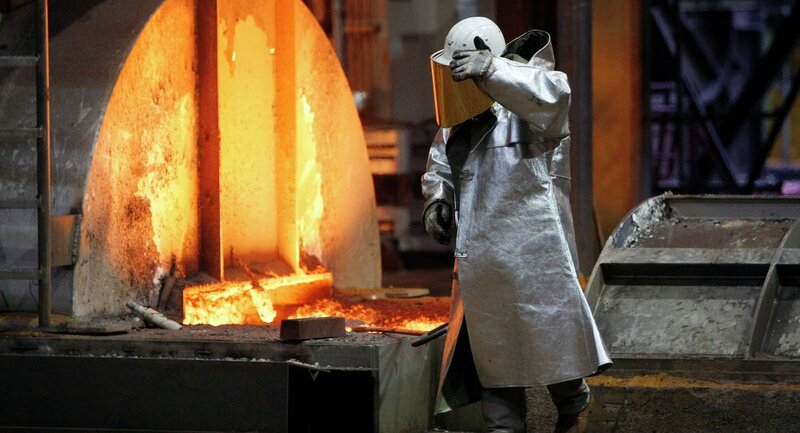 They would have a major impact on the European economy and French companies like Vallourec and Arcelor," Le Maire stated, referring to the Luxembourg-based steel producer ArcelorMittal. Describing the EU stance on the issue, Le Maire told journalists that "all options are on the table" and the US side could expect a "strong, unilateral and coordinated" response from the European Union. "Trade wars" with other countries are justified if the US loses billions of dollars, Donald Trump said Friday, commenting on his decision to impose heightened tariffs on imports of aluminum and steel. "When a country (USA) is losing many billions of dollars on [sic] trade with virtually every country it does business with, trade wars are good, and easy to win. Example, when we are down $100 billion with a certain country and they get cute, don't trade anymore-we win big. It's easy!" Trump wrote on Twitter. — Donald J. Trump (@realDonaldTrump) 2 марта 2018 г. Speaking further, the US president noted that US steel industry was in bad shape and the government should stand up for workers and manufacturers. Trump's decision to impose higher tariffs has caused concern among the world's aluminum and steel exporters. Thus, earlier in the day, Chinese Foreign Ministry spokeswoman Hua Chunying called on Washington to avoid the excessive use of protectionist trade measures, while China Iron and Steel Association called the US import tariff policy "foolish protectionist measures." Commenting on the announcement, German government spokesman Steffen Seibert said that the country had taken note of Trump's statement, as it could significantly affect German enterprises. "We have taken note of yesterday's statement, the federal government rejects these tariffs," Seibert said. The spokesman added that "international trade channels of our steel and aluminum industry will be largely affected" due to such a decision. At the same time, German Foreign Minister Sigmar Gabriel has urged the European Union to respond to Donald Trump's decision. "The European Union should provide a resolute response to the US import tariffs that put thousands of jobs in Europe at risk. Neither Europe, nor the United States wants this risky trade and political dispute," Gabriel said in a statement published on the German Foreign Ministry's website. Gabriel expressed hope that the US president would reconsider his decision and stressed that an international trade conflict should be avoided. On Thursday, Trump announced that the country would impose tariffs of 25 percent on steel imports and 10 percent on aluminum imports, adding that his decision would come into effect starting next week. Following the move, the European Commission said that it would prepare retaliatory measures on the US' proposed duties on steel and aluminum imports.